It was my dad who introduced me to cryptography as a kid. He was fascinated by things like the Enigma machine — German forces’ ciphering machine in World War II. We’d work on puzzles together and he loves the maths and the science behind it all. He still sends me manually encrypted emails from time to time. At university I studied computer engineering and when I needed to choose a specialism, cryptography came naturally. I studied the theory that made Bitcoin and cryptocurrencies possible in the early 2000s. Bitcoin then launched in 2009, putting the theory into practice. For me, studying it was a hobby and completely removed from my career; there was no indication it would go mainstream anytime soon but it was fascinating. It was only around 2014 when the first businesses started paying attention. 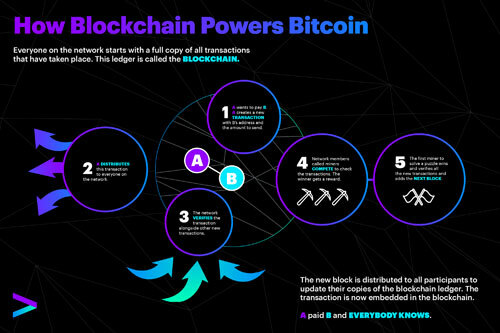 I’ve always been fascinated by how technology can make an impact on society and when the world woke up to the potential of the blockchain, the electronic ledger system behind Bitcoin, I leapt at the opportunity – I now head up Accenture Technology's practice in the UK and Ireland for blockchain. It's got the potential to make a real positive change in the world, which of course was the hope back then, but there was no guarantee. A lot of fringe technology innovations just die out. When you mention blockchain, people often think of Bitcoin and how cryptocurrencies can revolutionise payments, and they will. Blockchain could open access to the global economic system just like the Internet opened access to knowledge. But I think the bigger opportunity is actually outside of that. Bitcoin is just a very visible application of the blockchain technology, in the same way that WhatsApp for example is just an app running on a connected smartphone platform. Blockchain creates a way for you to trust data shared by others, even if you don’t trust the people themselves. It opens up new business models that have nothing to do with finance. For example, there’s this concept of creating a universal virtual identity for everyone. You could have this one blockchain-powered identity that you manage yourself and can use to, say, travel to another country, like a passport. Or, you could use that same identity to log into a website, or to apply for a job. It could end up replacing the need for CVs. You would have complete control over this identity and who can access which aspects of it. I actually believe the first step of taking blockchain into the mainstream will be companies using it to provide real-time visibility of their supply chains. By bringing inherent trust, the amount of friction this could remove in everyday transactions is staggering. People haven't yet cottoned on to the wider potential of blockchain. So, there's a bit of education still to happen. And that’s our job. If you look at Accenture’s brand and our vision, it's to make a positive impact in the world using technologies. We lead the way, pioneering how these things get used by businesses and by the wider society. It’s great to be able to contribute and make an impact in the world. My advice for someone who wants to build a specialty is to educate yourself constantly. At Accenture, we’re fortunate to get advanced training and support, but you need to do more too. You have to go out and read up a lot, watch the TED talks and dive into the literature to really understand a topic well. The most important skill you can have is to be able to clearly articulate the value of technology in a way that people can understand. People who do that are equipped to have credible conversations with clients and move technology out of the labs and onto the streets. Would I do anything differently? Well… if I could travel back in time to 2009, I’d buy thousands of Bitcoin for a few pounds and be a very rich man!